On Sunday 24 April 2016 the Rotary Club of Otter Valley (RCOV) are organising two Charity Cycle Rides. Both rides start and finish at Ottery St Mary Cricket Club in Strawberry Lane (EX11 1RG). The rides start at 10:00 and will be 11 and 24 miles long. Entry forms are available in local shops and a copy is available online – entry form. Participants are encouraged to obtain sponsorship. Half of the money raised will go to RCOV’s charities and the other half to a charity of your choice. Naturally we hope that a number of riders will donate their half to the ‘Otter Trail Group’. In the last three months the Otter Trail Group has spent over £1,000 of money raised on a detailed technical survey of one of the Trail’s sections to provide a better estimate of construction costs. Additional funds will enable us to take this work forward. Lamb and Flag, Batts Lane, Ottery St Mary, EX11 1EY. Below are copies of the draft Agenda and our current Constitution. 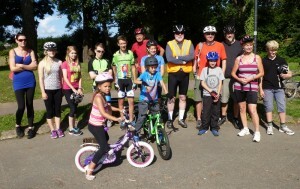 Over 60 cyclists took part in the first three rides in August. 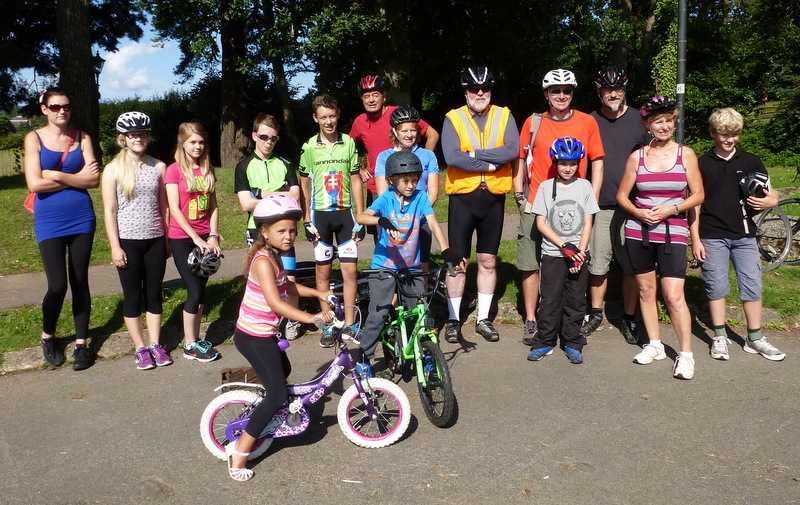 This week’s final ride (28 August) is a 50 km ‘Challenge Ride’ to Exmouth and back. We will start at the Land of Canaan Car Park in Ottery at 10:00 and travel down the Otter Valley and along the cycle trail from Budleigh to Exmouth. We will stop at a cafe in Exmouth and then return along the Exe Estuary Trail and pass through Woodbury Salterton, Aylesbeare and West Hill before descending to Ottery. 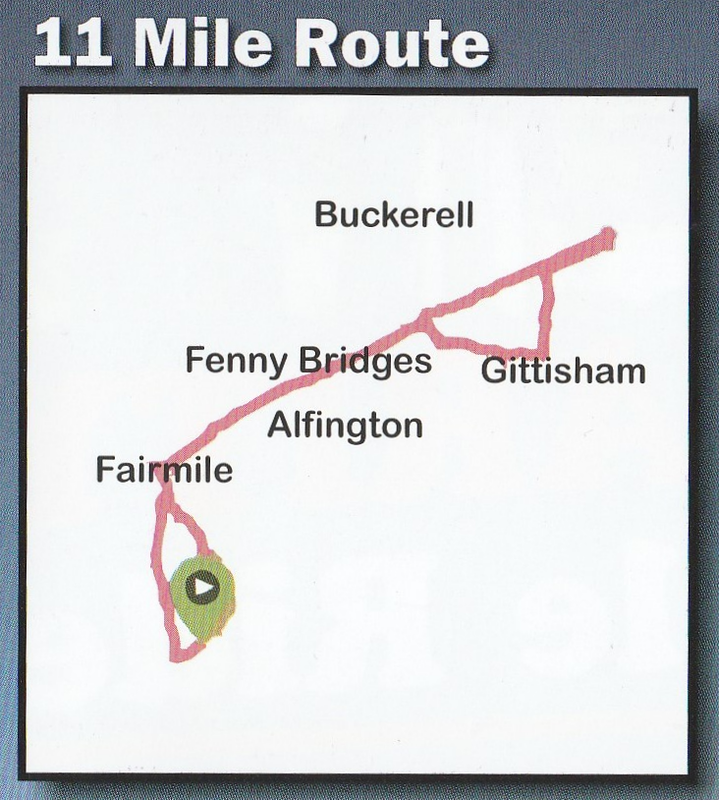 Full details of the route are on-line. Jo Elliott will be running weekly rides from Ottery – all starting in the Land of Canaan car park at 10:00. The rides are open to all aged 10 or over, but Jo is especially keen that girls take part. The rides will be held on Thursdays (7, 14, 21 and 28 August) and the plan is to steadily increase the distance ridden week by week. Depending on how everyone gets on we may culminate in a repeat of the 50 km Challenge Ride to Exmouth and back which we did in May this year! Some teachers and parents will accompany the rides as well as some SUSTRANS volunteers. 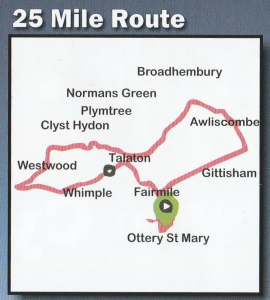 The first ride will head on quiet roads down the Otter Valley to somewhere near Tipton and Harpford. If you would like more information please contact Jo in the week before the ride you are interested in (jelliott@thekings.devon.sch.uk). Our next event will be on Sunday 18 May. There will be two rides – the main Community Ride will start in Exmouth at 11:00 and travel to Lympstone and back. This will be an opportunity to try out a popular shared use path. The distance is 2 miles each way. 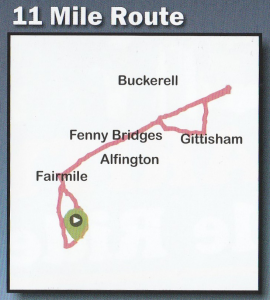 The majority of the route is off road and flat but a short section into Lympstone is on an unclassified road and features two short sharp hills. The ride will start in the long term car park alongside the Estuary behind Exmouth’s Rail Station. 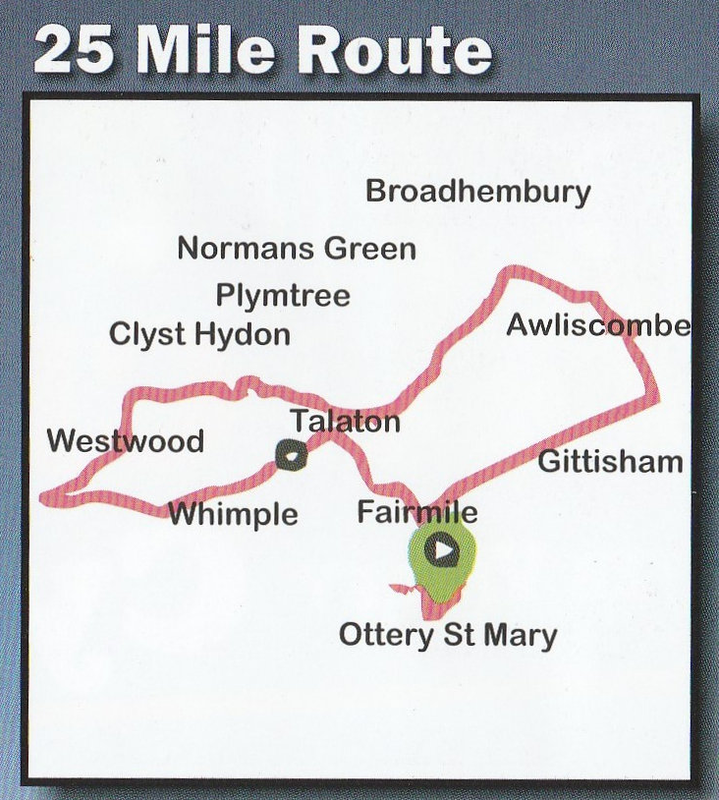 The Challenge Ride starts in Ottery at 08:30 and travels via Tipton and Otterton to Exmouth and then on to Lympstone. After a lunch break in Lympstone the Challenge Ride ride will return to Ottery via Ebford, Woodbury Salterton, Alyesbeare and West Hill. The total distance is about 32 miles. The ride will start in the Land of Cannan Car Park. Both rides will combine for the Exmouth to Lympstone section. In Lympstone the rides will break for lunch. Participants can either bring their own picnic lunch or buy supplies in the village shop or alternatively use one of the pubs or the cafe. If you have any queries before the day please email Jo Elliott.